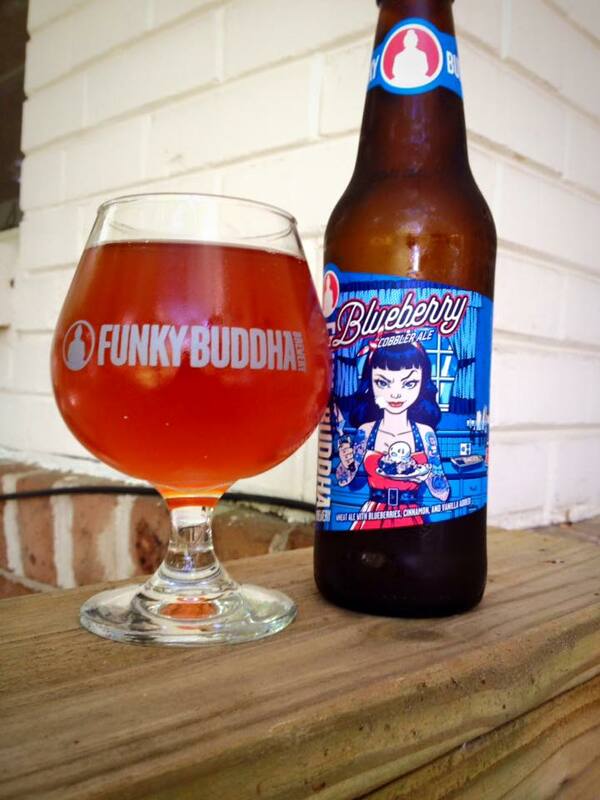 Funky Buddha Blueberry Cobbler is a Fruit Beer, 5.4% ABV, bottled on 5/30/16, opened on 7/30/16. Thanks to our own Raymond for the bottle! Funky Buddha has quite the reputation for their fruity dessert type beers, and for good reason. 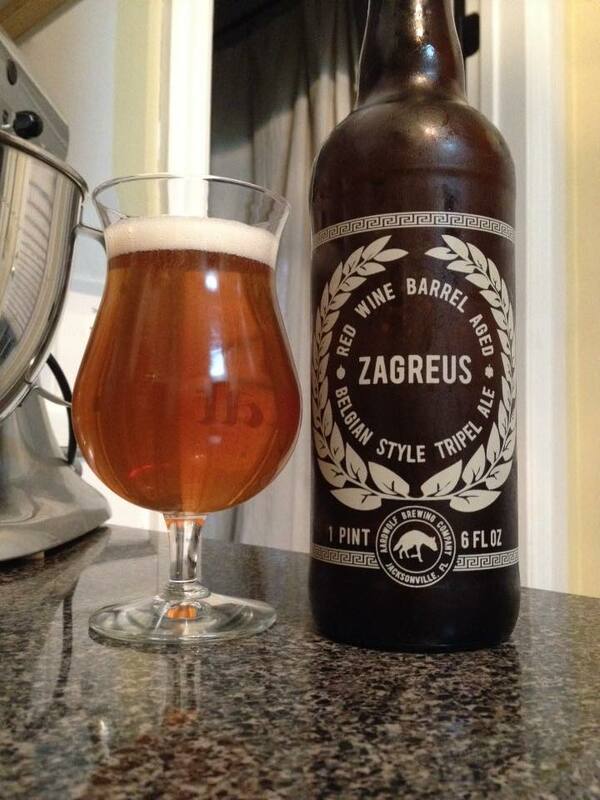 They have and uncanny knack for getting the aromas and taste of quite a few sweet treats into the beer experience. This beer pours with a hazy dark pink/purple color and a fizzy head that disappeared in a flash. The blueberry cobbler aspect in the aroma that really shines for me is the crumbly top crust. I’m getting that toasty/bready smell strongly at first which is followed by a good bit of cinnamon and vanilla. It is possible that the fruit was stronger when this was first bottled two months ago, but I am not getting much blueberry at all on the nose. The fruit is the first thing I notice on the taste. 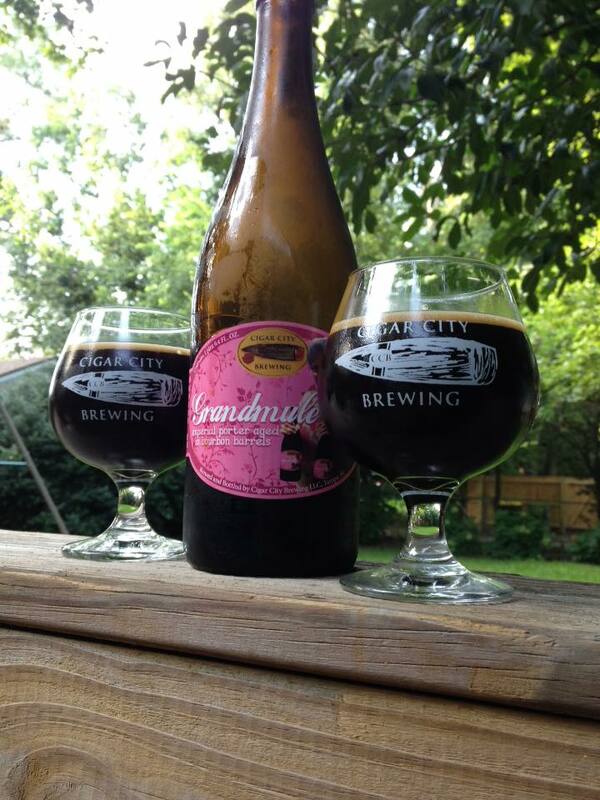 Tart and sweet blueberry is followed by some strong cinnamon and subtle vanilla. A little bready on the finish, but there just isn’t the strong “crumble” in the taste like on the nose. More fruity tartness finishes up the taste. Although the taste of this beer is enjoyable for a Fruit Beer, it doesn’t really taste like “blueberry cobbler” to me. 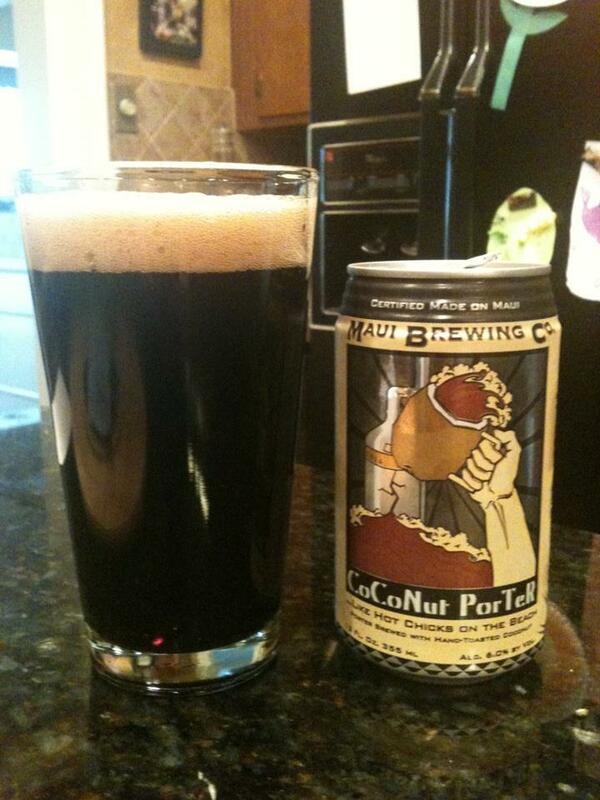 All the elements of the dessert are there, but it does not come together like some of their other similar beers do.